Running in Glasgow, UK. Best routes and places to run in Glasgow. 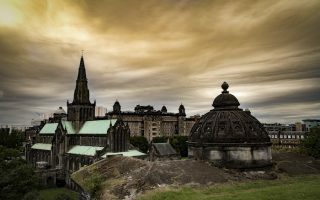 The largest city in Scotland, and the third largest city in the United Kingdom, Glasgow is a pretty alluring destination from its perch on the banks of the River Clyde. It’s a flat seaport town, known for its shopping, fashion, historic center, and good-natured locals who speak with an attractive lilt. Our guide to running in Glasgow features great routes along the River Clyde, historic areas, and wonderful parks. The city is extremely friendly towards runners, with great riverside paths, parks, and architecture that will make it hard to keep your eyes on the trail. 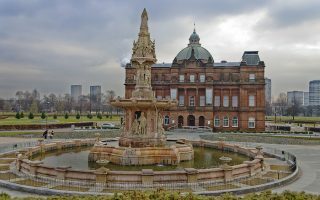 Some highlights include the West End, where the scenic “Broomielaw,” path along the Clyde meets up with the River Kelvin, and Glasgow Green, a popular park for exercise of any sort. 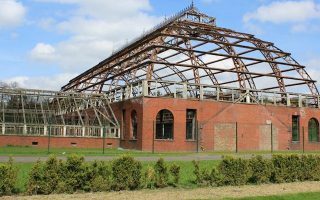 Trails and solitude can be found at Queen’s Park and Pollok Park, Mugdock Country Park, and Ruchill Park, while a tour of the East End or the Bridges Route will be of interest to architecture buffs. For many of these routes, we partnered with Run the Sights, a group that conducts scenic running tours around the city, so you know they’ve collected the best views in Glasgow! If you’re traveling to the city, you’ll be pleased to know public transportation is a cinch. Gridlike and compact, Glasgow boasts an easy to navigate circular subway route which covers the city center and out to the west end. It’s a good thing to keep in mind if you plan to see a lot of the city on foot. Check out the Traveline Scotland app and the Glassgow Walking app for additional information on the best of Glasgow by foot. 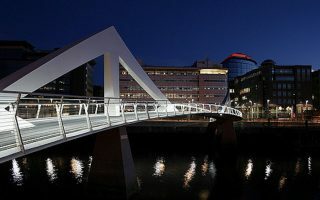 We love this route that criss-crosses the River Clyde on some of Glasgow’s most interesting architectural feats. We've mapped a 7.4 km loop, but there are many options for vary the length given there's never more than 1 km between the bridges. Glasgow's oldest park and a popular running spot. 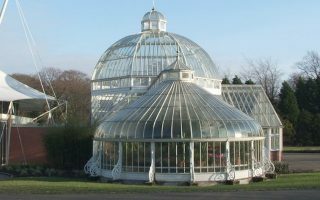 Run along the Clyde River and in the Green, past the People's Palace and Winter Garden. Several other architectural highlights and landmarks, and lovely running paths. 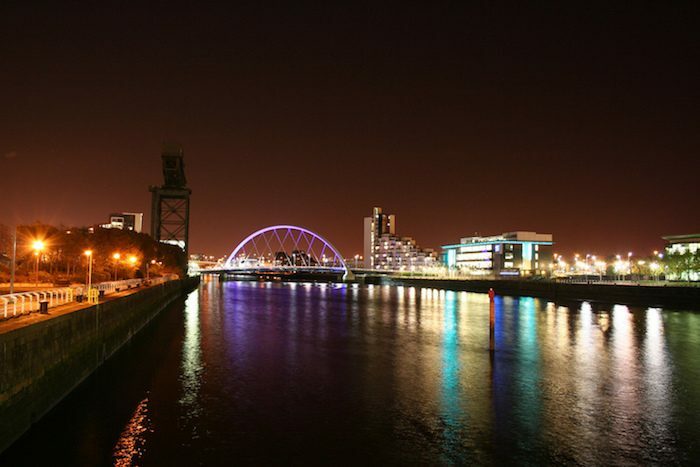 The West End of Glasgow is most noteworthy where the Clyde intersects with the Kelvin, making for a stretch of beautiful waterfront park — especially the Riverside Museum on the Broomielaw, where you can check out the historic tall ships. This is the route to experience Glasgow’s architectural crown jewels, including the Glasgow Cathedral, George Square, and City Chambers. These interconnected parks are just south of Glasgow and easily accessible by transport. Enjoy the skyline view from Queen’s Park and the gardens at Pollok Park. Our route outlines both parks but there are great DIY options. 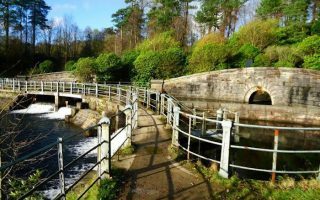 For a waterfront run away from the crowds, track the path along the canal from Spiers Wharf up to Ruchill Park, which locals say is the best panoramic view of the city you’ll find. 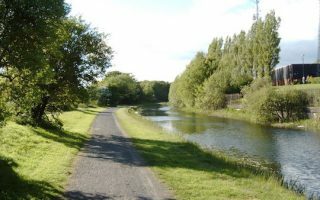 North of Ruchill Park, there are many more km of paths along the canal. Extensive trail network in this park only 20 minutes north of the city by train. Good options for trail running and hills, passing by remains of castles, World War anti-aircraft trenches, and other sites. 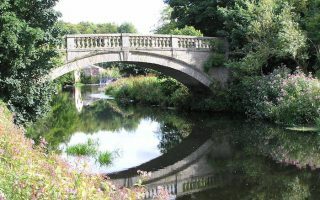 Tollcross Park is home to Parkrun, a free group 5k held every Saturday morning. Springburn Park is home to Parkrun, a free group 5k held every Saturday morning. Glasgow has an oceanic climate that is milder than its latitude would suggest. It is good for running neatly year-round, though layers and wet weather gear are essential. Winters are cool, overcast, and damp with little sunshine. Average high temperatures in January are 5C, and lows near the freezing mark. Spring and fall can be mild and quite pleasant. Summers are mild but never really warm, with average high temps in July of about 20C (68F), and coolish nights. One should note that day length has big contrasts between winter and summer. We love those long summer evenings! visitscotland.com is a good resource for accommodation information. Independent retailers Achilles Heel and Run 4 It have a good variety of running shoes (and tips on how to join their running groups) while Sports Direct, Nike, and Cotsworld Outdoor also have chains throughout the city. Run the Sights, conducts wonderful guided running tours of Glasgow. West End Road Runners, or the Bellahouston Road Runners are good running groups to connect with. 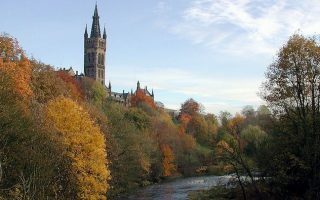 For the most comprehensive list of running routes in Glasgow, check out scottishrunningguide.com.